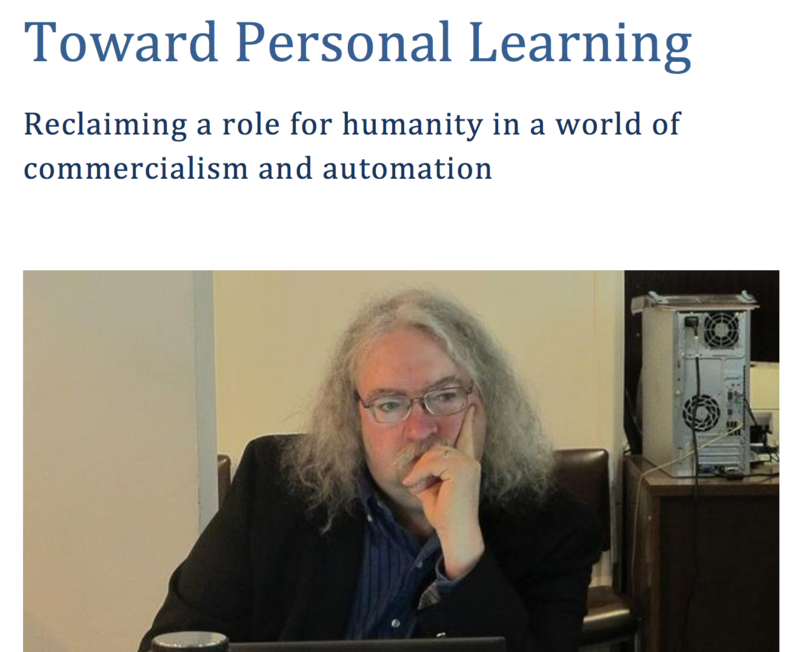 In the five years after Connectivism and Connective Knowledge was posted we saw the phenomenon of MOOCs appropriated and commercialized, the rise of artificial intelligence, analytics and personalization, and the ubiquity of mobile devices. It’s all pretty much what was predicted, and yet the reality feels so different. We’re not in an age of breathlessness and hope, as we were even in 2012, we’re in an age of anger and cynicism. The first is the idea of autonomy in a connected world. A second is the idea that we need to reorganize knowledge in such a way as to better prepare people for a complex and changing world. A third is the tension between commercial good and social good, especially with respect to open learning and open content, but also with respect to society and values generally. I haven’t had the chance to read the book yet, it’s over 750 pages! However skimming the content list it looks like a really rich and interesting read. This entry was posted on Saturday, July 15th, 2017 at 9:42 am	and is filed under General. You can follow any responses to this entry through the RSS 2.0 feed. You can leave a response, or trackback from your own site.